There comes a time in every man and woman's life when one's hair needs a little extra love and care. If you're suffering from hair loss or a loss of hair thickness, these home remedies are for you. 1. Avocado. Here is yet another reason to jump aboard the avocado craze. According to Organic Facts, avocados are rich in omega-3 fatty acids, a necessary ingredient to maintaining healthy hair follicles. 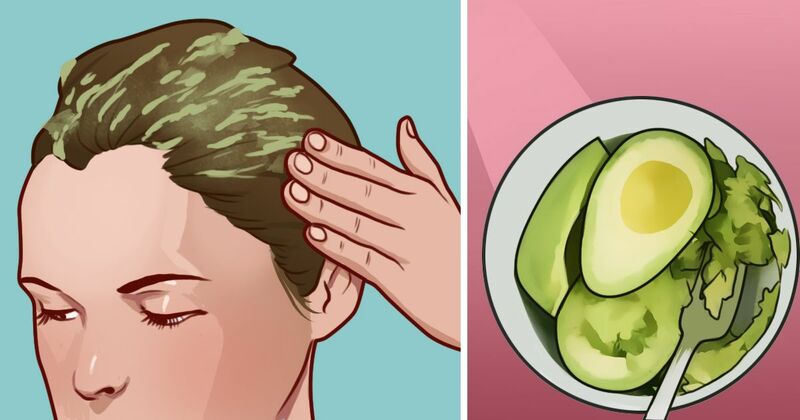 Simply adding avocado to your everyday diet may be effective, but for the best benefits, use the anti-oxidant fruit as a shampoo, applying it directly to the hair and scalp. 2. Flax seeds and salmon. Like avocado, flax seeds and salmon are excellent sources of omega-3 fatty acids. For a hair growth diet, incorporate these three ingredients into your everyday meal plan. For starters, try these tasty recipes: smoked salmon and avocado on flaxseed bread and from Paleo Leap, grilled salmon with avocado sauce topped with flaxseeds. 3. Coconut oil. To grow thicker eyebrows, Style Craze recommends gently massaging 4 or 5 drops of pure coconut oil into the eyebrows for several minutes before bed. Leave the oil overnight and rinse in the morning. 4. Green tea. For the thickest, longest eyelashes, Beauty and Tips recommends making a pot of caffeinated green tea. Let the liquid cool and then use it to wet a cotton pad. Swipe the tea-treated pad over your eyelashes to stimulate hair growth. 5. Rosemary oil. This delicious smelling home remedy increases blood flow to the scalp, enhances the strength of the roots, and shuttles nutrients to the follicles. For this home remedy, Byrdie recommends adding a few drops of rosemary oil to your regular shampoo and then massaging it into the scalp. Doing this just once a week can have dramatic results. 6. Egg yolk. Nutrient-rich eggs are a classic treatment for hair-growth and dandruff. Byrdie recommends making a hair mask from two eggs and 2 tablespoons olive oil. Apply the mask to dry, brushed hair, and relax for thirty minutes as the proteins, lecithin, and proteins seep into the hair and scalp. Then, simply shampoo and condition as you would normally. 7. Castor oil. This potent ingredient, rich in vitamin E, proteins, and omega-6 fatty acids, works wonders for hair growth, not only from the scalp, but also for eyebrows and eyelashes. Byrdie recommends a hot oil treatment for the scalp. To do this at home, massage castor oil into the scalp and hair, blow dry on high heat for 15 minutes, and then shampoo and condition as usual. For eyelashes, Good Health Academy recommends dipping a clean eyeliner brush in castor oil and then using the brush to apply the oil directly to the eyelashes. Eyebrow guru Anastasia Soare told Oprah that rubbing a small amount of castor oil over the eyebrows is as effective as Rogaine in speeding up hair growth. 8. Aloe vera. Yet another excellent home remedy for thick, beautiful eyelashes in aloe vera. Style Craze recommends massaging the cooling gel into the eyebrows and letting it sit for 30 minutes. When you are finished with your at-home treatment, simply rinse with water. Do you love these home remedies for hair growth as much as we do? Tell us your success stories when you SHARE this article on social media!